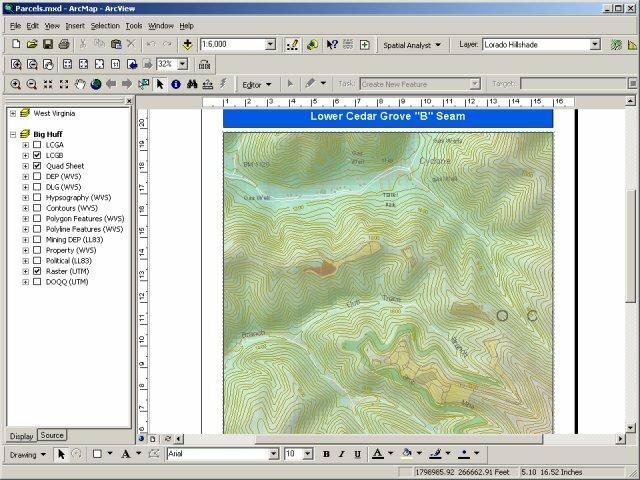 your geospatial, reserve analysis and reporting tools. 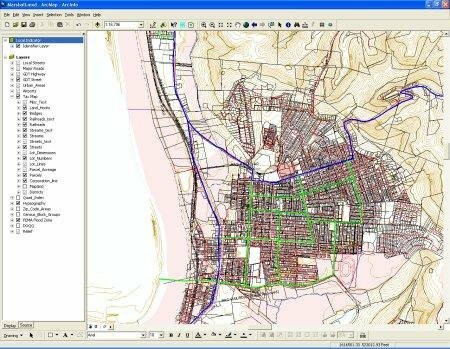 Uses popular off the shelf software; ArcGIS, QGIS, AutoCAD Map, Surfer and Microsoft Access that you may already own. Quality and reserve data is stored in a relational database allowing for SQL analysis of the reserve data. (e.g. Show me reserves that are greater than 4 feet in thickness and less than 1% sulfur, and over 12500 BTU. These are dynamic queries, once the model is created, it can be analyzed and reused for any number of scenarios. Reporting both as tabular reports and thematic maps. Reserve Modeler combines off the shelf software, custom software and scripts, as well as engineering procedure to turn coal and mapping data into reserve reports and maps. We start with Control Points (e.g. 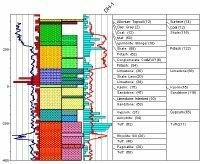 core data) and map polygons representing the various areas which have an impact on mining (crop, previous mining) or for which we wish to calculate reserves (parcels, leases, planning regions).